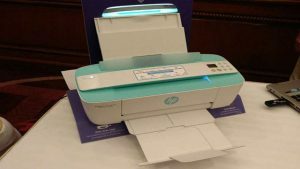 New model in HP 3700 series of all-in-one Deskjet printer has been launched in India. Scan, Copy, and Print facilities are facilitated in this model. This is at present the world’s smallest printer. Advanced apps like printing directly from phone’s camera, Facebook, Instagram and Flickr are made available for this device to make copies. Wireless copy, scan, and the print facility is available for this device. This printer can connect fast and easily to other gadgets like smart phones and tablets. No network is needed as this is a wireless device. The dimension of 15.86 x 6.97 x 5.55 mm is the smallest InkJet all-in-one printer available in the world. Weighing around 2.33 kgs. Printing speed for black and white prints (ISO) is 8 ppm and for color prints (ISO) is 5.5 ppm. The normal first print will be out in just 15 secs, and colour print is in 18 secs. 600 x 1200 dpi hardware and up to 600 dpi optical scan resolution makes the printer more advanced and special. A 4 cpm Black (ISO) and 2.5 cpm Colour (ISO) with a resolution of 600 x 300 dpi regarding graphics and texts 60-sheet input tray, 25-sheet output tray is provided. A Connectivity of USB 2.0 high speed and a built-in Wi-Fi 802.11 b/g/n is present in this device. Electric blue, sea grass green and cardinal red colors are available for sale with MRP 7,176 and MRP Rs.5,999 from 26th September 2016 in all online and offline stores. Black and color cartridges refill cost is Rs.575 each. 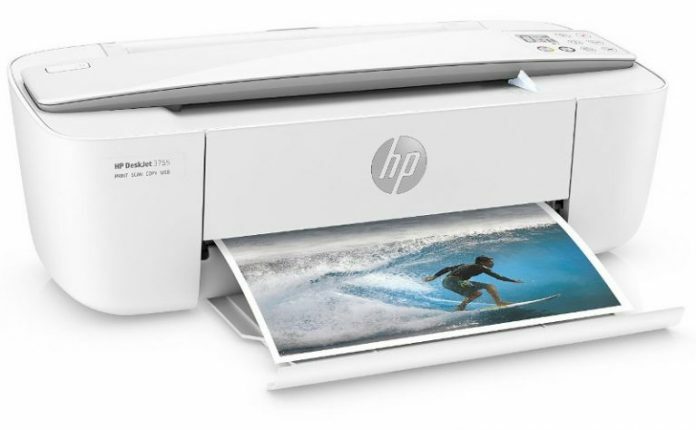 Parikshet Singh Tomar,Director of Printing Systems, HP Inc, India, has informed the above specifications and features officially at the time of launch.